Past Advancement Committee Member of Mount Notre Dame High School; Cincinnati, OH. Member Wise Temple, Cincinnati, OH. 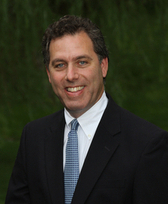 Garry is owner and founder of Kohn Wealth Management Advisors, LLC, a branch office of L.M. Kohn & Company, Cincinnati, Ohio. As an independent CERTIFIED FINANCIAL PLANNER™ PROFESSIONAL and working in partnership with RBC Capital Markets, Garry offers unbiased and creative and customized strategies in working towards client financial goals. In addition, Garry is a frequent speaker and expert regarding college savings and his college pre-approval process through various large, national corporations. Garry was a corporate retail buyer at Burdines and Jordan Marsh, Miami FL and Belk Stores Services, Charlotte, NC for 15 years. Garry joined his brother, Larry Kohn, owner and founder of L.M. Kohn & Company, a Registered Broker/Dealer in 1997. When he's not in the office, Garry is mostly playing golf, exercising or watching or attending Indiana University or Ohio State sporting events.